A Twitter Holiday Auction - Bid For Literacy! 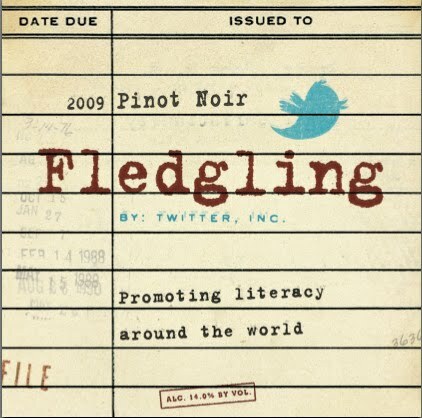 Did you know Twitter made a special wine to support global literacy? We launched the Fledgling Initiative in October 2009 to benefit Room to Read, a non-profit that works with communities throughout the developing world to promote literacy, establish libraries and publish children’s books in local languages. Twitter employees helped harvest the first grapes by hand and spent a full year working with Crushpad winery to craft a Chardonnay and Fledgling Pinot Noir, which are now on sale through our site here. In spirit of the holidays, we’re making limited-edition bottles of Fledgling and other unique gifts available through an auction on eBay’s giving works platform. From December 6-16, you can bid on signed bottles, special edition magnums (a fancy word for huge bottle of wine), and lunch at Twitter HQ with co-founder Biz Stone. All proceeds will support the children of Uttarakhand, and the dedicated Room to Read volunteers who are teaching them that literacy can be their connection to a whole new world. Bid on a bottle today by going here, and raise a glass to literacy over your holiday dinner. For more on the Fledgling Initiative itself, visit www.fledglingwine.com.